Being part of a Jewish interfaith couple can be challenging, but you don’t need to find the answers alone. 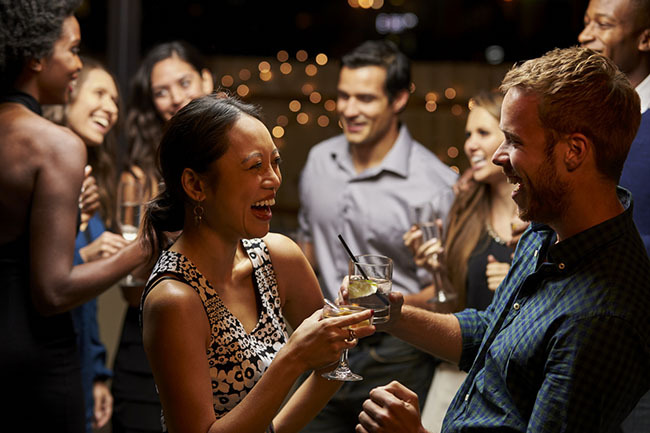 InterfaithFamily offers several programs where couples can connect to each other, and other couples like them, to learn, to laugh, and sometimes to eat and drink! 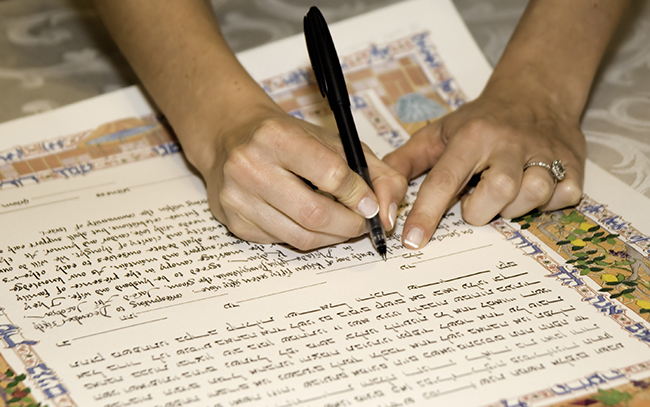 Explanation of ketubah, the Jewish marriage contract. A comprehensive guide to bar mitzvahs and bat mitzvahs for interfaith families, with explanations and sample rituals. 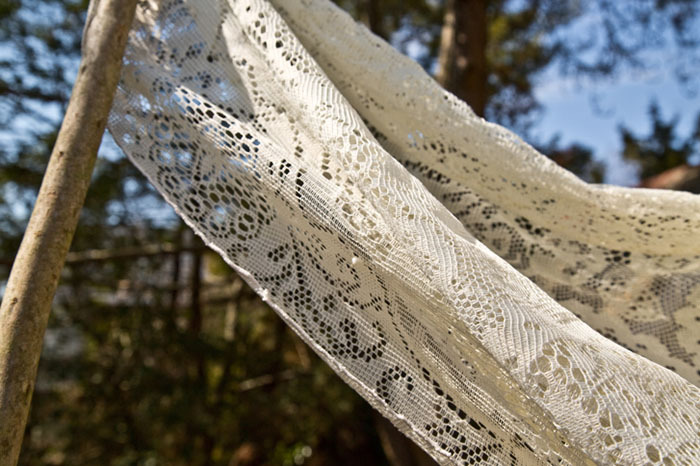 Explanation of the chuppah, the Jewish wedding canopy, and ways to incorporate it into an interfaith wedding ceremony. 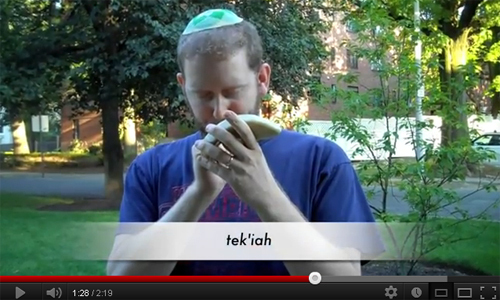 Learn how to say the Shehecheyanu blessing with this video. How to play the Hanukkah dreidel game! Plus, the meaning of the letters on the dreidel: what they stand for in Hebrew and how their Yiddish meaning shapes the game’s rules. What is Your Synagogue’s Policy on Who Can Be a Member? Rabbis share their synagogues’ policies on who can be a member and what roles someone who is not Jewish can play in synagogue leadership. Professional advice tips for making the seder more accessible to interfaith partners and families, compiled by InterfaithFamily.com. 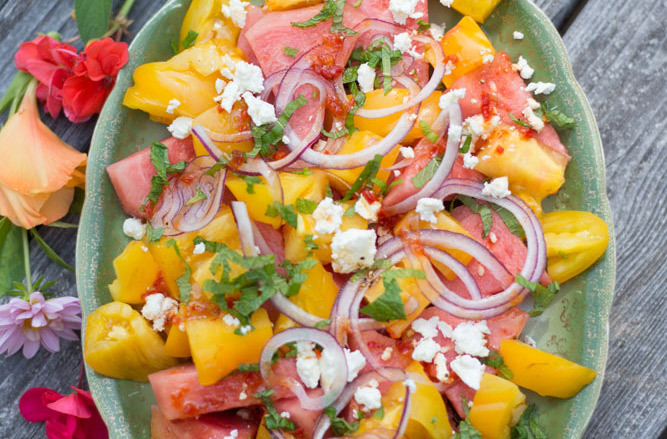 An index to High Holidays recipes. What is Your Synagogue’s Policy on Opening the Ark? IFF/Your Community asks local rabbis what their synagogues’ policies are on people who are not Jewish opening the ark. Which Parents’ Names are Included in Their Child’s Hebrew Name? 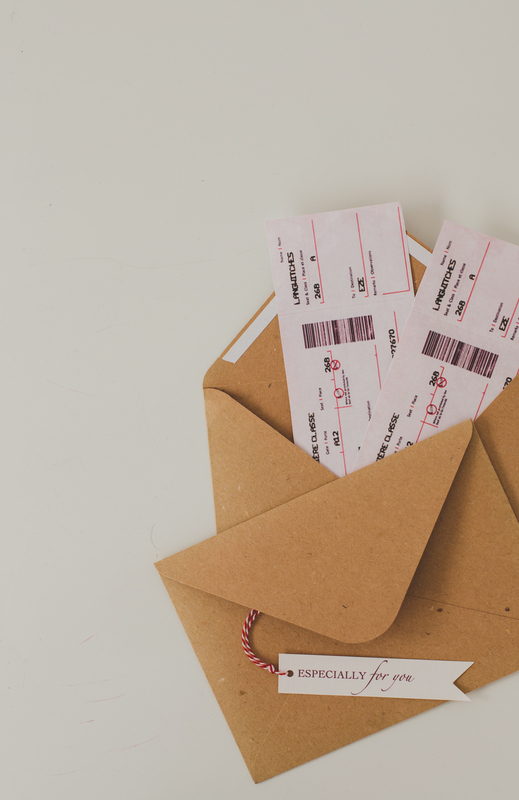 Rabbis from IFF/Your Communities share their synagogues’ policies on which parents’ names are included in a child’s Hebrew name during an aliyah. 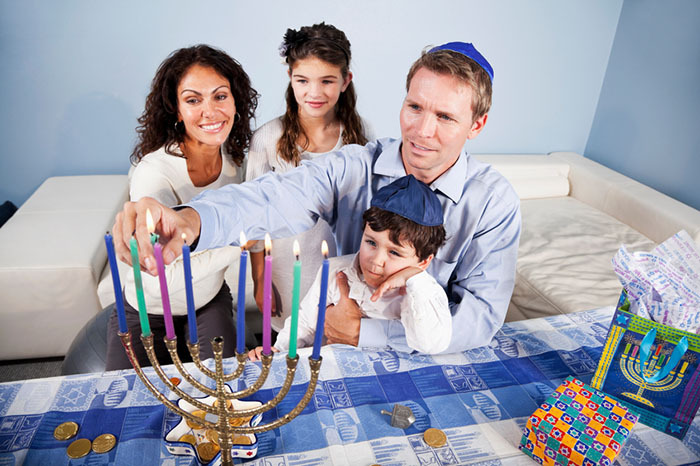 How Does Your Synagogue Handle Candle Lighting with Interfaith Families? 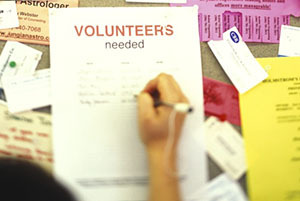 What Attracts Interfaith Families to Jewish Organizations? 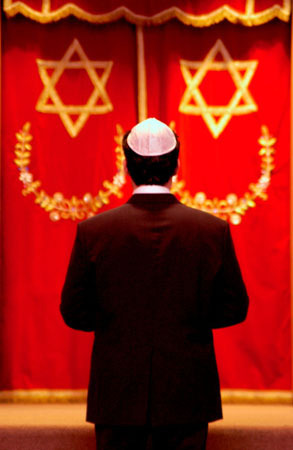 The New York Jewish Community Study of 2011, released in June 2012, noted that interfaith families generally score low on that study?s index of Jewish engagement, while interfaith families who join synagogues or send their children to Jewish education score comparably to in-married families. Community studies like New York?s, and other available communal research, however, tell us precious little about what factors contribute to interfaith families joining Jewish organizations and expanding their connections to Judaism – or what they experience as barriers to that expanded connection. 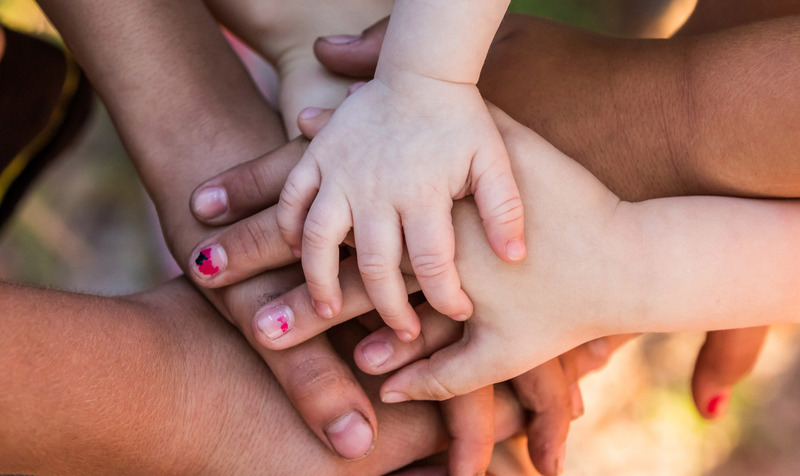 At InterfaithFamily, we have years of research on what does attract interfaith families to Jewish synagogues and organizations. Video explaining and demonstrating the shofar, a natural instrument blown on Rosh Hashanah, the Jewish New Year. 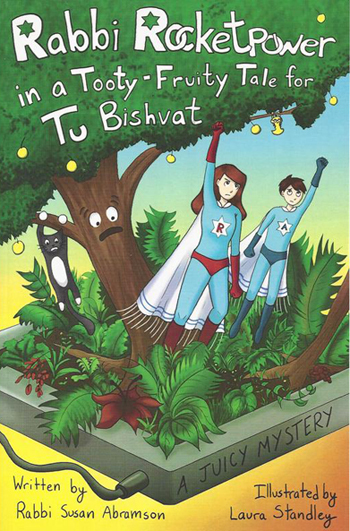 Reviews of kids books, perfect for reading on Tu Bishvat – or anytime you want to think about the environment, nature, and our responsibility to the planet. 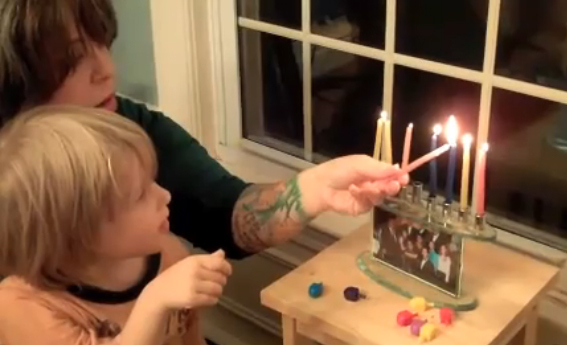 In this video, a family shares Jewish pre-meal rituals for Friday nights. Yom Huledet Sameach is happy birthday in Hebrew and can be sung the same way. Resources to help you think, reflect, take stock of yourself, your year, and your community, in the month leading up to Rosh Hashanah and Yom Kippur. 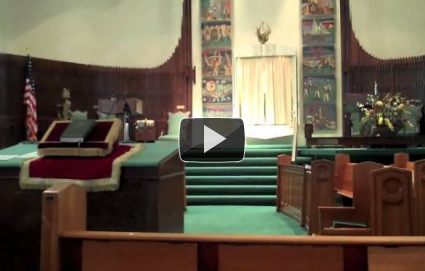 A video explaining the ritual items, layout and features of a synagogue, preparing you for your first visit. 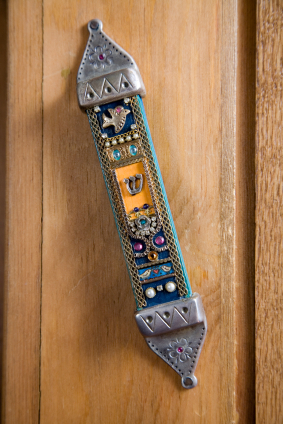 This video shows you how to affix a mezuzah in your home, including placement on the door frame and the blessings. 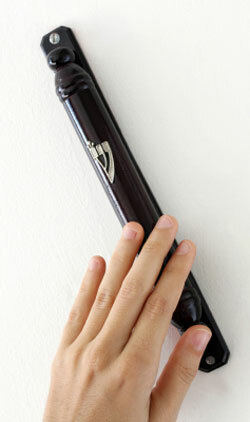 The blessings said when putting up a mezuzah, as an easy to download PDF and with audio files. An overview of statistics on Jewish intermarriage in the U.S. and Jewish population in the U.S. and the world. 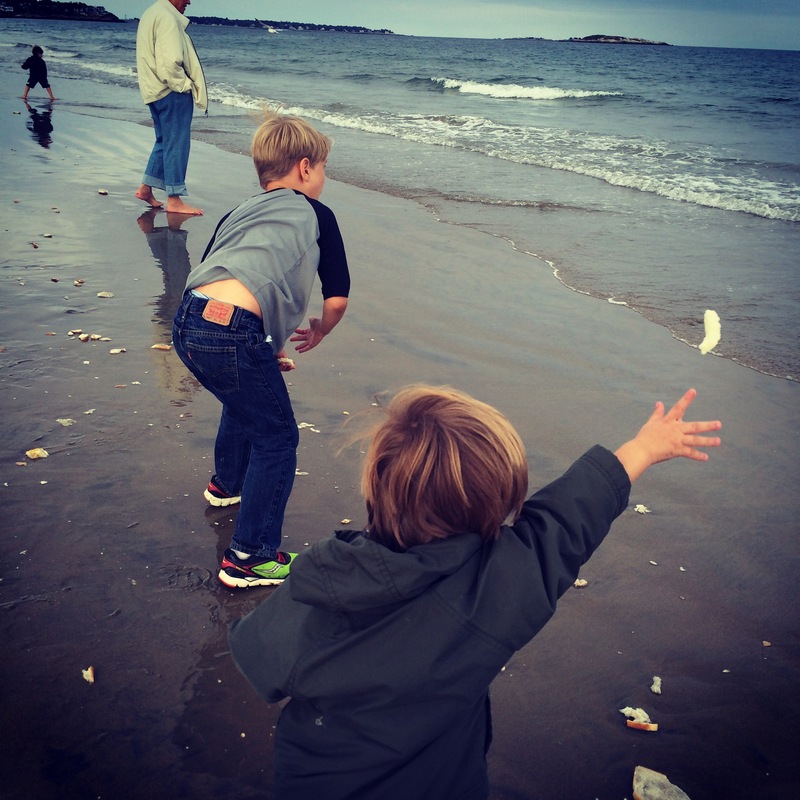 What does being a grandparent mean to you? Sharing wisdom treats, presents, culture, values–and love? Let’s talk about it. A guide for small groups of interfaith couples and families who want to ?do Jewish? and celebrate an interactive Shabbat dinner together. 1297 June 18, 2010 From our partners at www.MyJewishLearning.com, a video about how Jews really deal with death and dying, and how their non-Jewish partners can be supportive. How can you find a spiritual practice in Judaism, whether you came from a Jewish background or grew up in another religious tradition? We offer some ideas and resources. 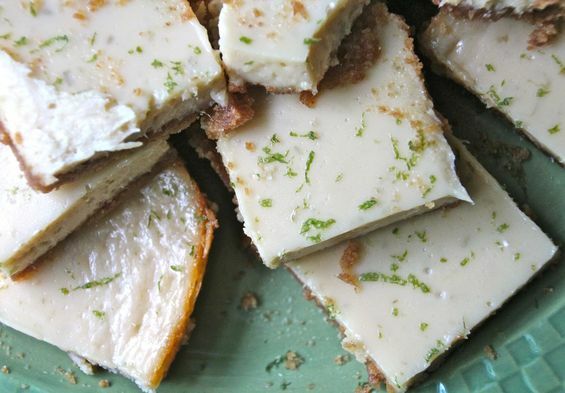 Passover recipes submitted by our readers for our Passover Recipes 2010 contest. 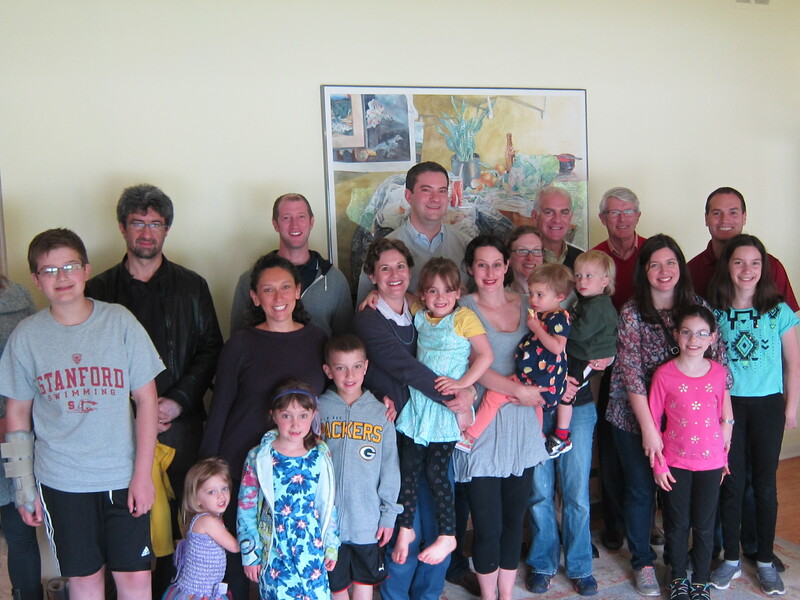 More interfaith families raising their children Jewish are participating in secular Easter activities in a way that they believe does not compromise their children?s Jewish identity. These trends emerged from the sixth annual Passover/Easter Survey conducted by InterfaithFamily.com. We’re not trying to get you to convert–no pressure–this is just a good opportunity to answer questions you might have about conversion to Judaism. A packet of articles on death and mourning in interfaith families to stimulate discussion, with values-clarification questions included. Hanukkah is a holiday that commemorates the Jewish recapture and rededication of the Temple in Jerusalem in 164 BCE. 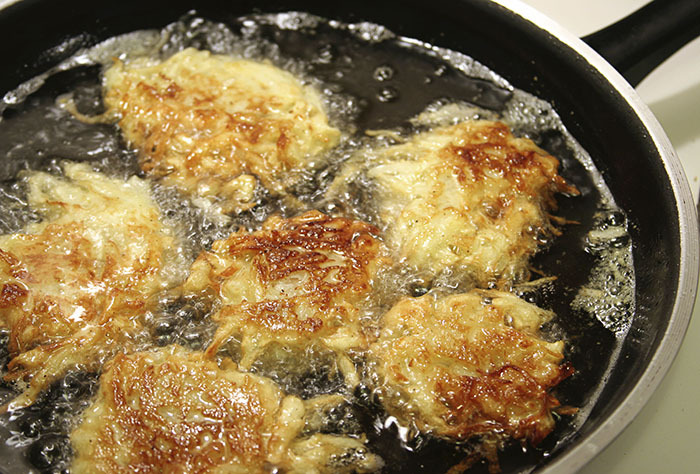 Overview of Hanukkah foods, including sufganyot, Hanukkah gelt and links to latke recipes. 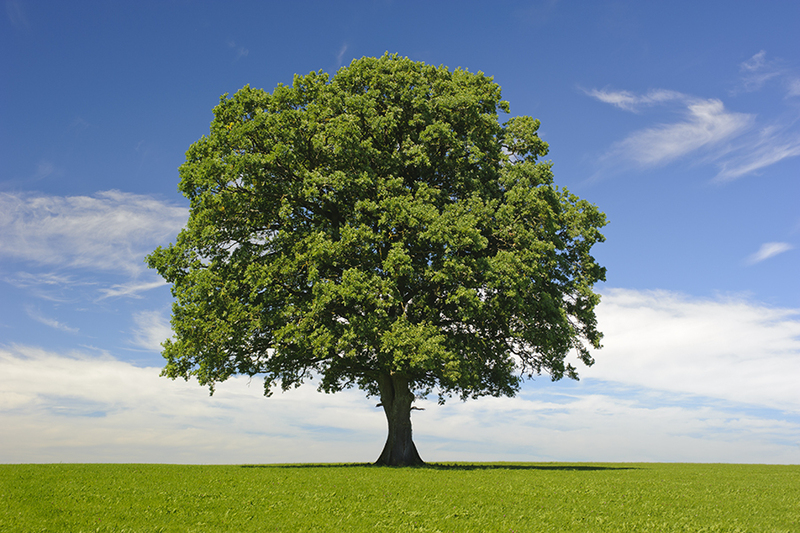 Questions about the tree, divorced, adoptive or blended families and what about all the mistakes? 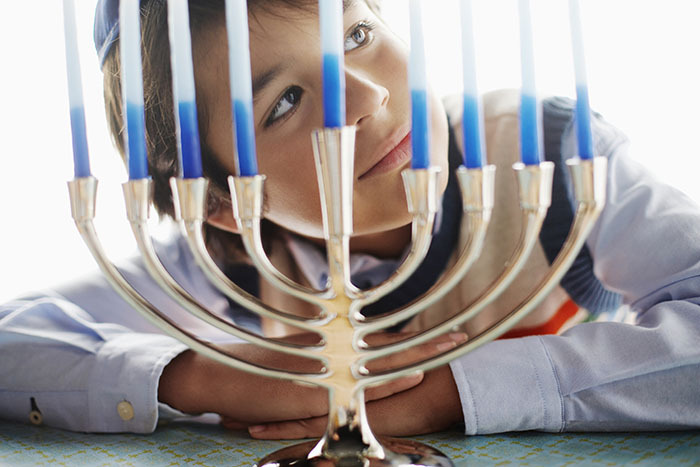 A section of A Guide to Hanukkah and the December Dilemma for Interfaith Families: The story of Hanukkah is a story of a revolution in the service of religious freedom. Hanukkah, unlike the major Jewish holidays, does not require any days off from work, any major preparation or any long worship services. It?s an eight day holiday that consists mainly of lighting candles, singing songs, eating traditional foods and playing dreidel. It’s not an elephant in the room–it’s just a little pine tree. Want to talk about it? Try our new discussion packet for interfaith couples. How do we celebrate the festival of lights? 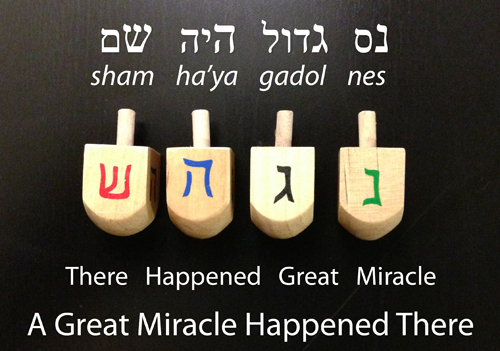 Learn about menorahs, dreidels and more. When is Hanukkah, and How Should I Spell It? 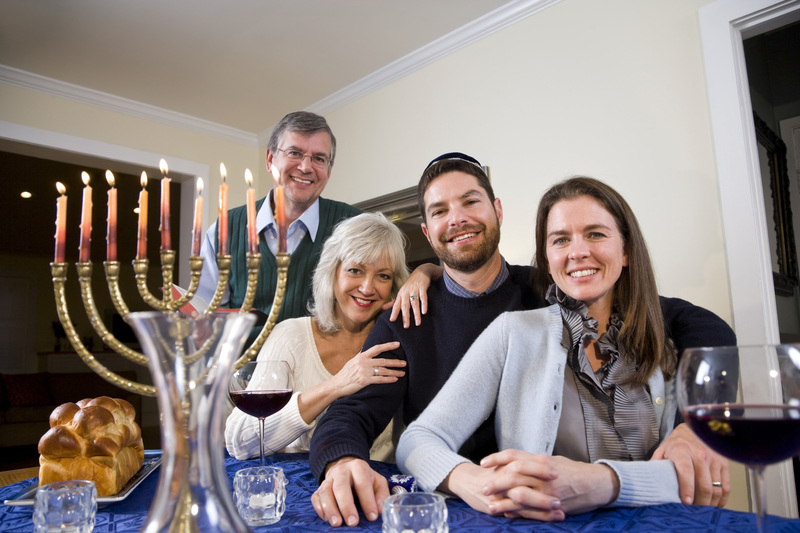 Part of A Guide to Hanukkah and the December Dilemma for Interfaith Families. New to synagogues? We hope this guide will help you feel ready to be comfortable at your next Jewish event. Part of the Guide to Shabbat for Interfaith Families. Our Guide to Shabbat and Havdalah for Interfaith Families is a great resource, introducing the holy day, its rituals and customs. Landing page with introduction and table of contents to a guide to Shabbat for newbies. 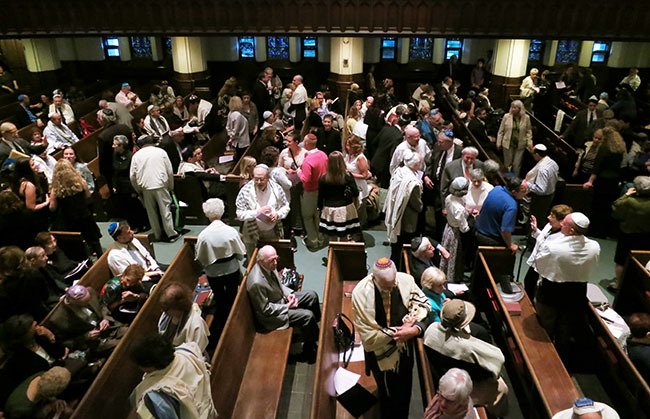 Guide to the Synagogue for Interfaith Couples and Families: What Happens at a Synagogue? New to synagogues? 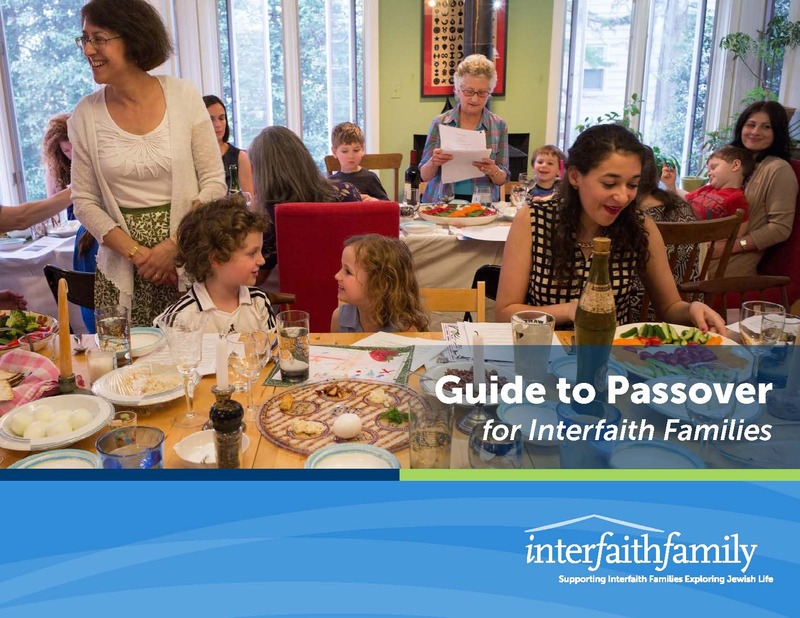 We hope this guide will help you find a good community for your interfaith family. A quick, easy download to guide you through the Havdalah ritual, complete with audio of each blessing. 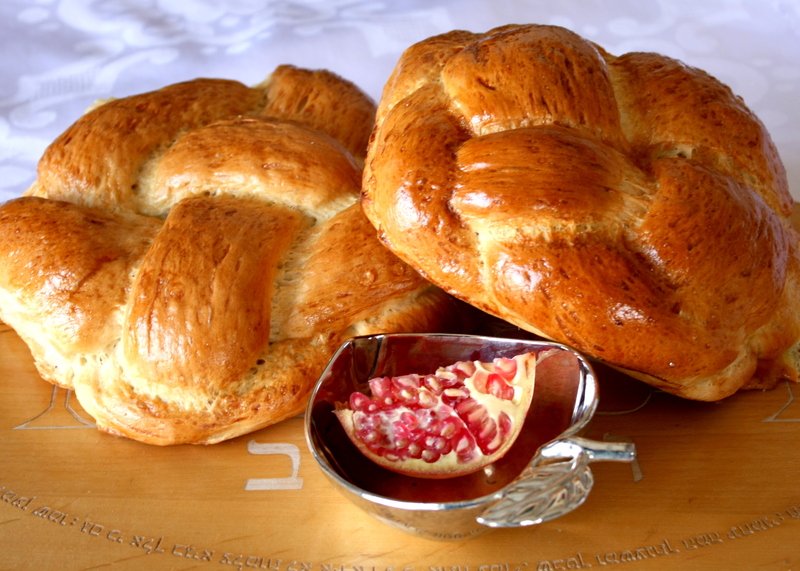 Introduction to the blessings over the wine, challah, and more, for Shabbat, from our Guide to Shabbat and Havdalah for Interfaith Families. Introduction to the blessings for our children, families, partners, and more, for Shabbat, from our Guide to Shabbat and Havdalah for Interfaith Families. Introduction to lighting the candles for Shabbat, from our Guide to Shabbat and Havdalah for Interfaith Families. Introduction to the ways one can prepare for Shabbat, from our Guide to Shabbat and Havdalah for Interfaith Families. 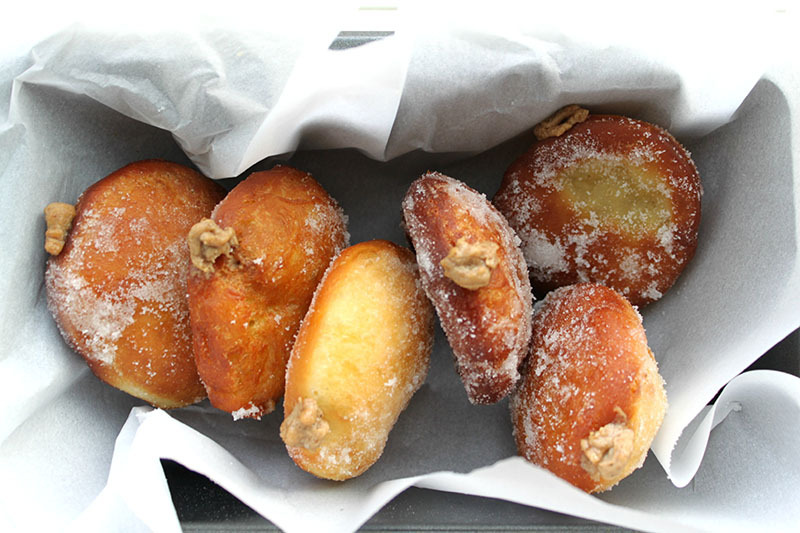 Some Jewish holiday celebrations are mainly at home. 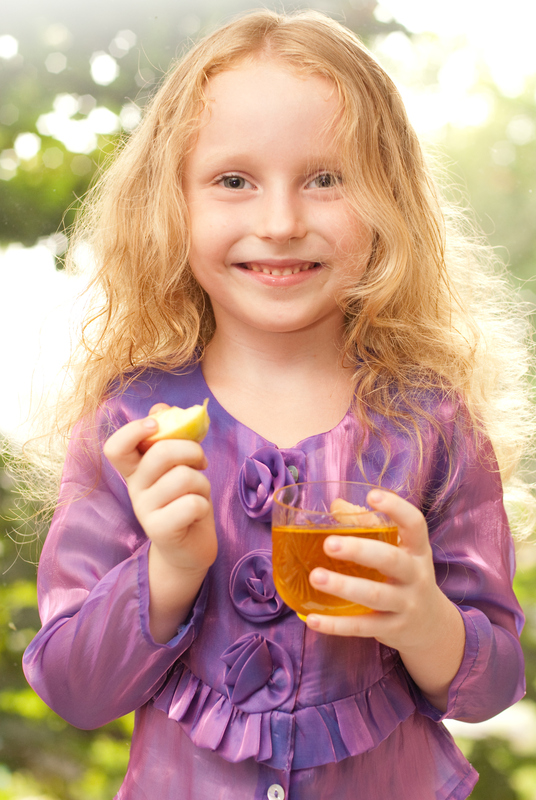 Rosh Hashanah is more about what we do at synagogue, but there are some home observances, too. 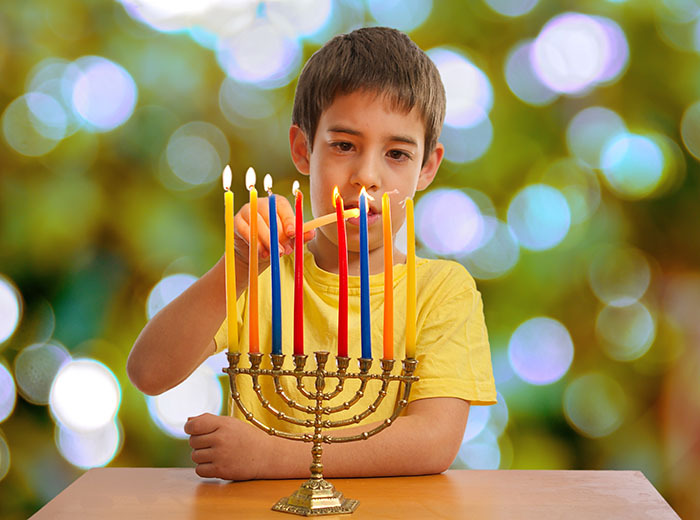 Resource for learning how to light the Hanukkah menorah. What Passover means–a discussion of Passover themes of slavery and other issues. 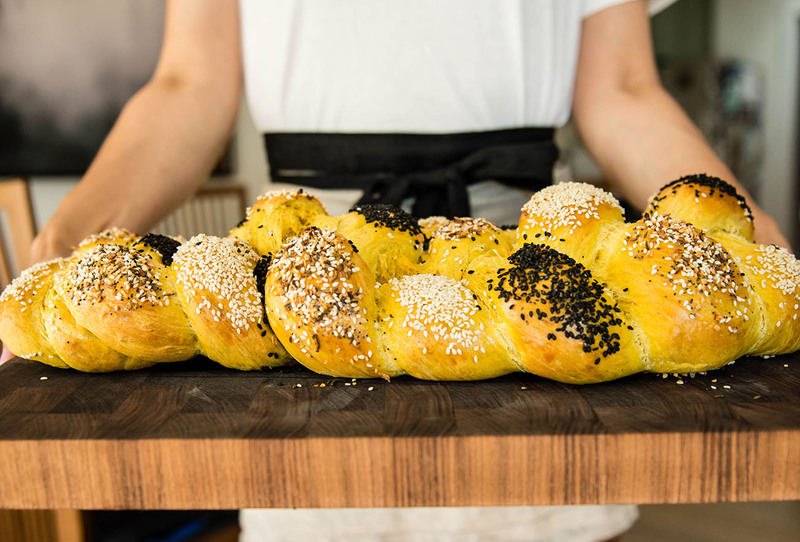 How to celebrate Shabbat at home, including preparing for Shabbat, lighting Shabbat candles and saying Shabbat blessings. List of additional Passover resources and Passover links. The story behind a seder at a church. 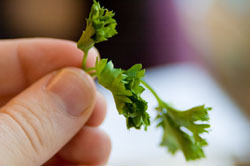 How to make the Passover seder interesting. Explanation of tradition of inviting guests to Passover. 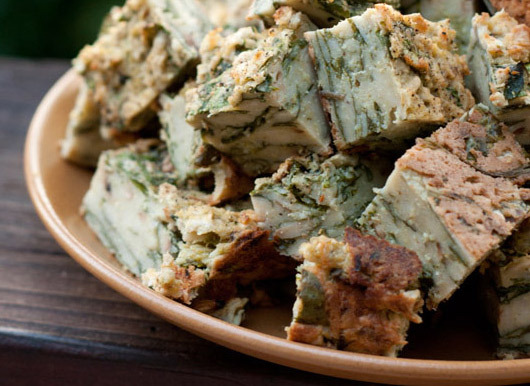 The story behind Passover foods. 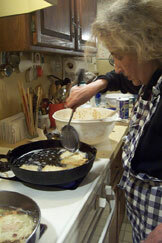 Explanation of traditional Passover foods. How to prepare for Passover. So you got invited to your boyfriend/girlfriend’s house for seder? Does that mean you should expect a ring? 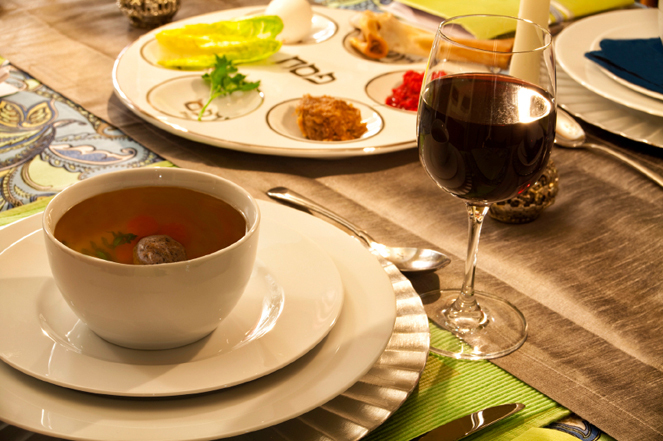 What it means–and doesn’t mean–to be invited to a Passover seder. 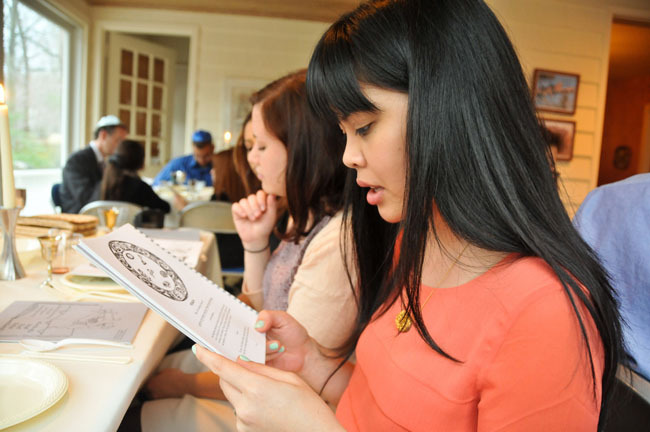 The story behind a seder at a synagogue. The path from slavery to liberation was crafted by the ancient rabbis in fifteen ritualized steps, each one represented by a named section of the seder. A compilation of resources, culled from the InterfaithFamily.com Article Archive, on Passover and Easter from 2004. An explanation of the Passover seder. Why are there two Passover seders? When is Passover? Passover dates this year and beyond. 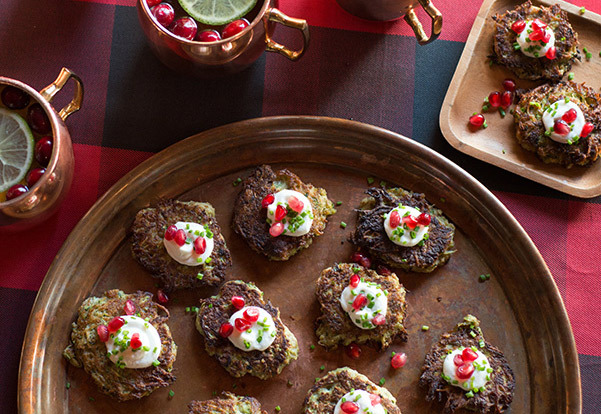 The basics of hosting a seder. 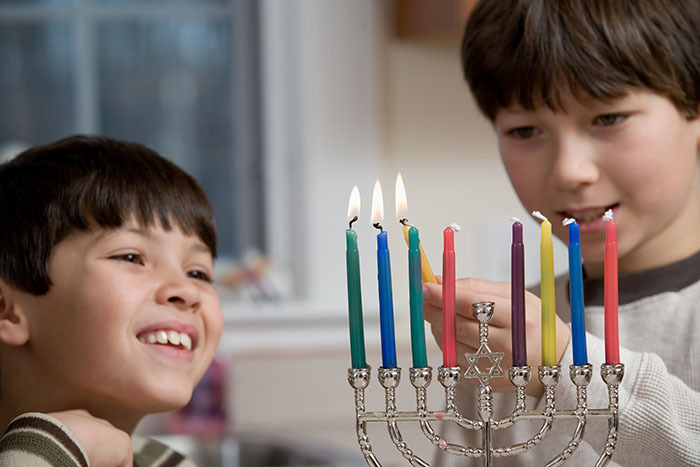 Suggestions for how to celebrate Hanukkah (Chanukah) and Christmas in interfaith families, including volunteering, doing both and celebrating one at home and one at relatives’. 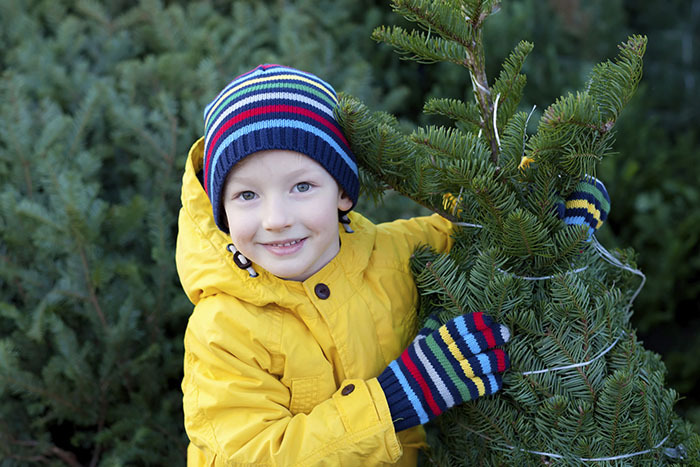 Professional advice tips for interfaith families on how to handle the conflict between Christmas and Hanukkah, compiled from suggestions by contributors to InterfaithFamily. Ways to enjoy Saturday afternoon of Shabbat, from our Guide to Shabbat and Havdalah for Interfaith Families. Hailey sings the hamotzi before christmas dinner. Introduction to the ways one can celebrate Shabbat, from our Guide to Shabbat and Havdalah for Interfaith Families. 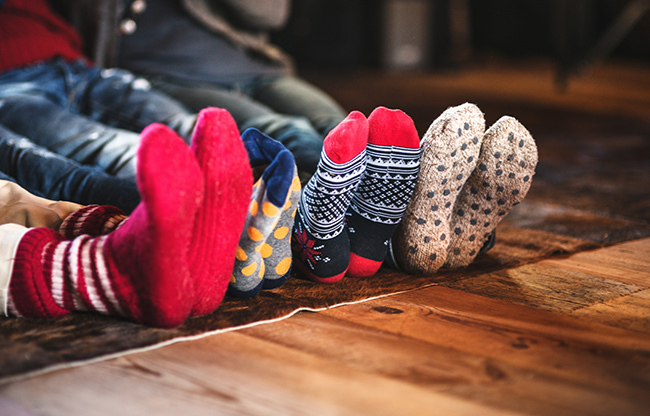 Being in an interfaith relationship or the child of an interfaith family presents specific opportunities and challenges in the conversion process. 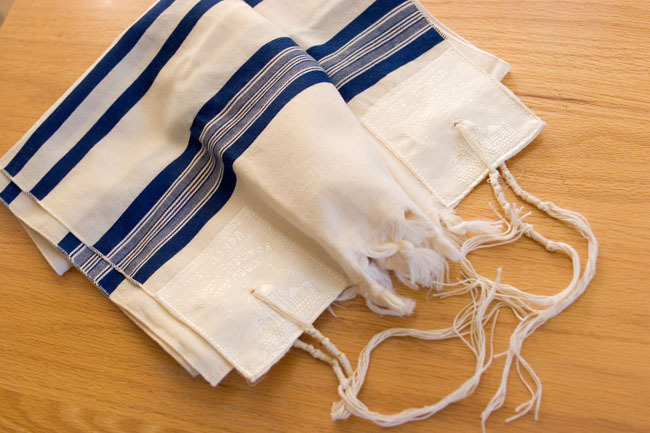 Learn the blessing for putting on a tallit with the audio and downloadable file. And watch how to put on a tallis with this video! Learn the blessings for before and after the Torah reading just got easier with our audio, video and downloadable files. Learn the words to this popular line to sing during Shabbat and holiday Jewish prayer services. An overview of Jewish holiness, including Jewish blessings, Jewish rituals, reading Torah and doing mitzvot. An overview of Jewish spirituality in synagogues, and the challenges involved. 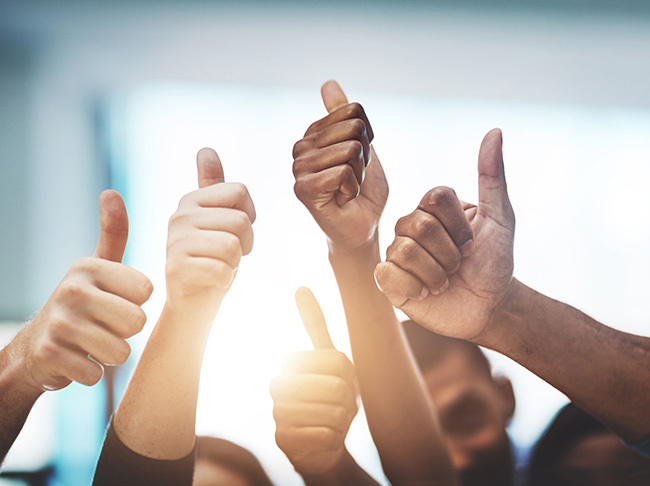 An overview of ways you can perform mitzvot, including observing Shabbat, doing Jewish rituals and showing hospitality. Learn the Hebrew words to the line before the Amidah, the central prayer of the Jewish service, in which we ask that our mouth can find the right words. Said at many synagogues on Shabbat, at bar and bat mitzvahs, and at homes on friday nights, we have the words and audio so you too can learn this blessing. InterfaithFamily/Chicago has a new free, joyful and spiritual parenting resource called Raising a Child with Judaism in Your Interfaith Family. This resource includes educational essays, fun family activities, personal narratives, and more for interfaith parents. Overview of Reform Jewish conversion, for people looking for information on how to convert to Judaism. An interview with Gwyneth Paltrow as she discusses her work, growing up in an interfaith family, and her close relationship with her Jewish father. Joe Bologna and Renee Taylor discuss their many vow renewals– a Catholic ceremony, a Protestant ceremony, two Jewish ceremonies and a Buddhist ceremony. Learn about Lecha Dodi, a featured poem sung during Friday night worship, and hear one of its melodies. A series of tips for talking about Israel in interfaith families, especially during times of conflict. A collection of testimonials about interfaithfamily.com?s impact on readers, professionals and writers for the occasion of its 100th issue. 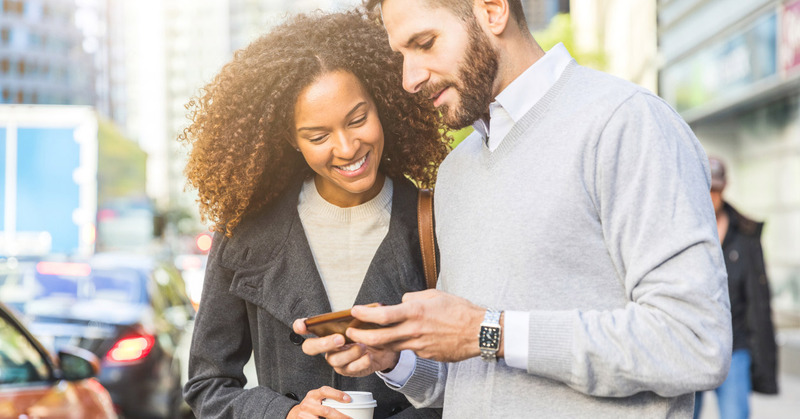 Advice on how Jewish couples and intermarried couples can talk to their children about interfaith dating. 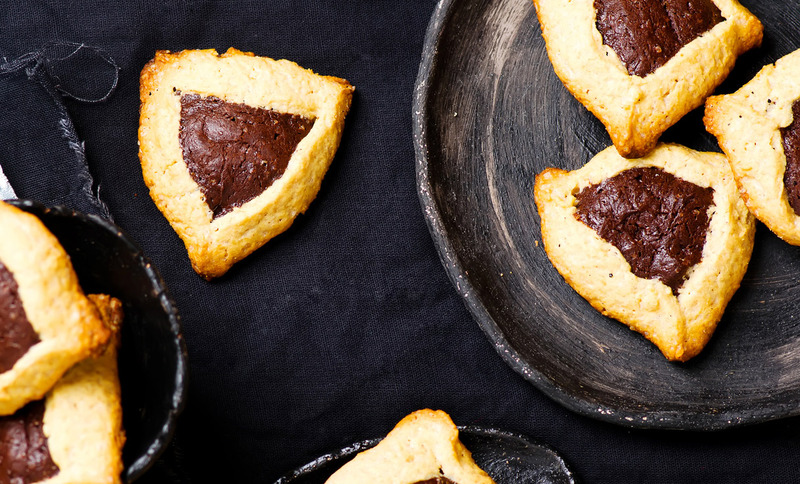 Some of our favorite Purim articles, for interfaith couples and families. No two Jews have the same Shabbat rules. As long as you don’t work on Shabbat, you’re keeping the Sabbath. 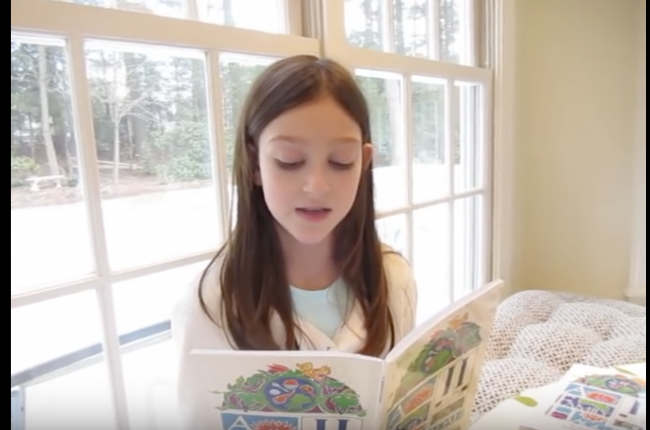 Purim resources especially for children and families: videos, songs, crafts, and more! A quick, easy download to guide you through the Friday evening Shabbat rituals, complete with audio of each blessing. An introductory booklet resource for interfaith families, intermarried couples, and others looking to find out more about Shabbat’s practices and meanings and how to make it their own. In introduction to what to expect when going to a synagogue on Shabbat, from our Guide to Shabbat and Havdalah for Interfaith Families. A resource booklet explaining the holiday of Purim, its customs and traditions. In introduction to the rituals of Havdalah, from our Guide to Shabbat and Havdalah for Interfaith Families. 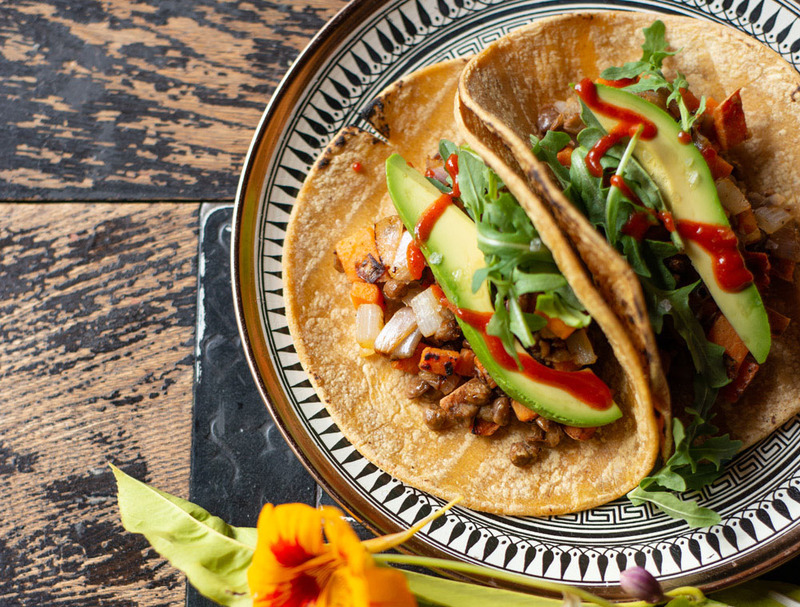 An overview of Jewish foodways, including an introduction to keeping kosher, the role of Shabbat and the impact of immigration. In introduction to Havdalah, from our Guide to Shabbat and Havdalah for Interfaith Families. 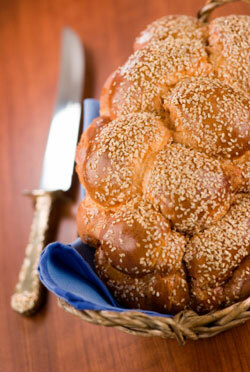 An introduction to Shabbat, part of our Guide To Shabbat and Havdalah For Interfaith Families. 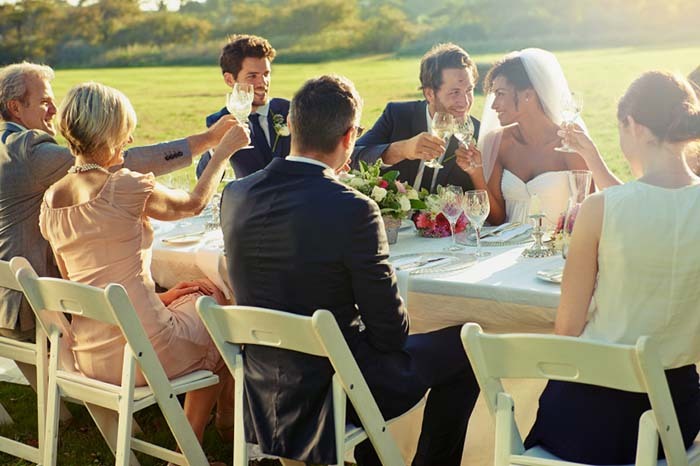 Much of the decisions involved in a wedding revolve around the ceremony, but Interfaith Family has compiled a list of things that couples might want to discuss about their life after the wedding day before they get married. Some of our favorite articles from the LGBTQ archive about the community around us, the Jewish community and creating community. Some of our favorite articles from the LGBTQ archive about relationships between partners and with our families. Some of our favorite holiday articles from the LGBT archives of InterfaithFamily.com. Rosh Hashanah and Yom Kippur are the most popular times of year for Jews to go to synagogue, but they also present an atypical synagogue experience. Unlike other Jewish holidays that are more centered on children, Rosh Hashanah and especially Yom Kippur are primarily adult holidays. What do the children get out of it? 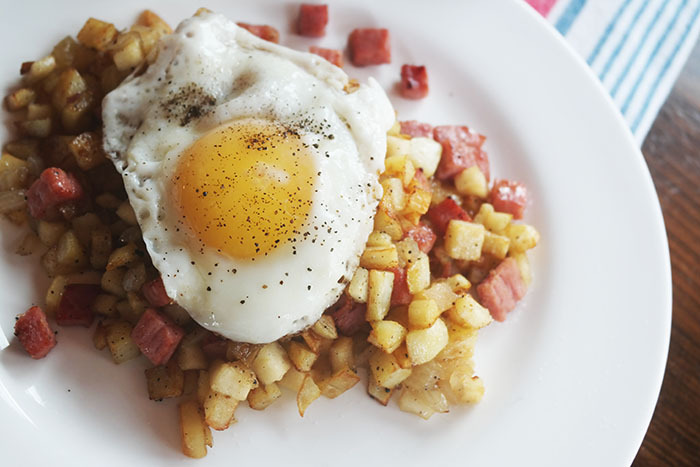 The Yom Kippur fast is more than just not eating. A sample Jewish non-cutting ceremony for parents who are against circumcision. The shehecheyanu prayer in Hebrew, and the shehecheyanu prayer in English. Recommended books for helping plan an interfaith wedding. How the processional works in a Jewish or interfaith wedding. I’m having a Jewish wedding. 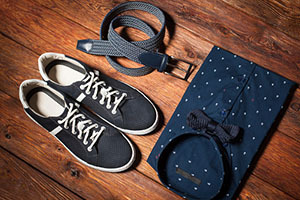 Are there special considerations relating to what to wear? Explanation of the tradition of circling in Jewish weddings. Sample candle-lighting/unity candle ceremonies for Jewish-Christian interfaith weddings. If you’re planning an interfaith wedding, it’s important to know the differences between Jewish and Christian weddings. 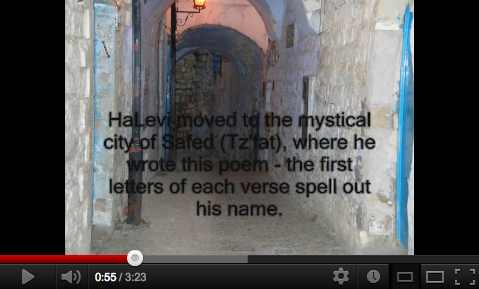 Text and explanation of the the Hebrew prayer Shehecheyanu. 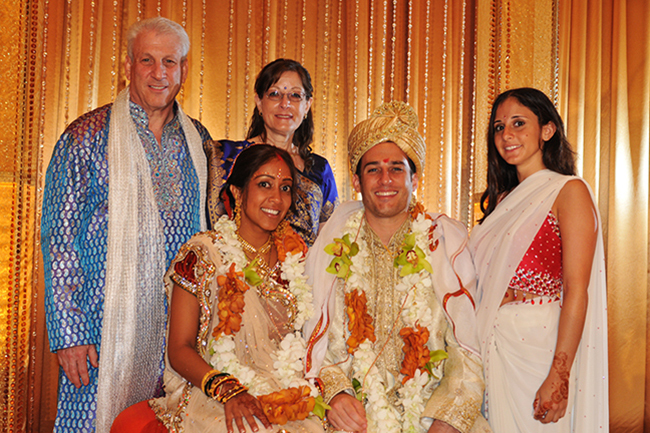 Here are several strategies to approach the family dynamics that are in play as you plan your wedding. 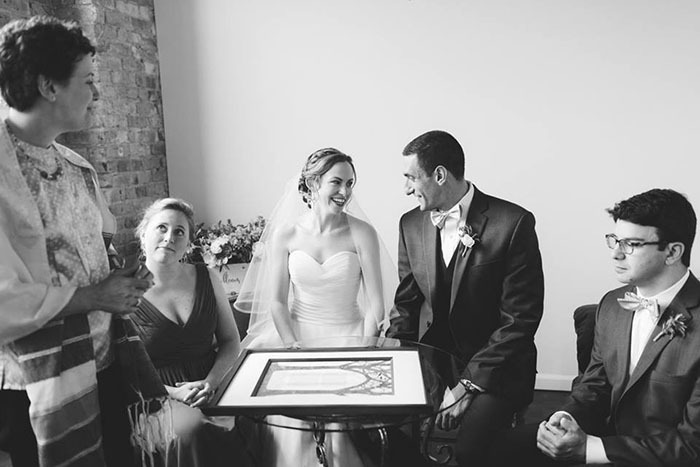 Ways to avoid conflict when planning a Jewish-Christian interfaith wedding. 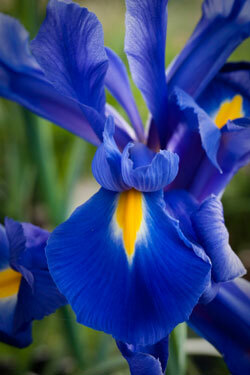 Poems, prayers and readings for interfaith and Jewish weddings. 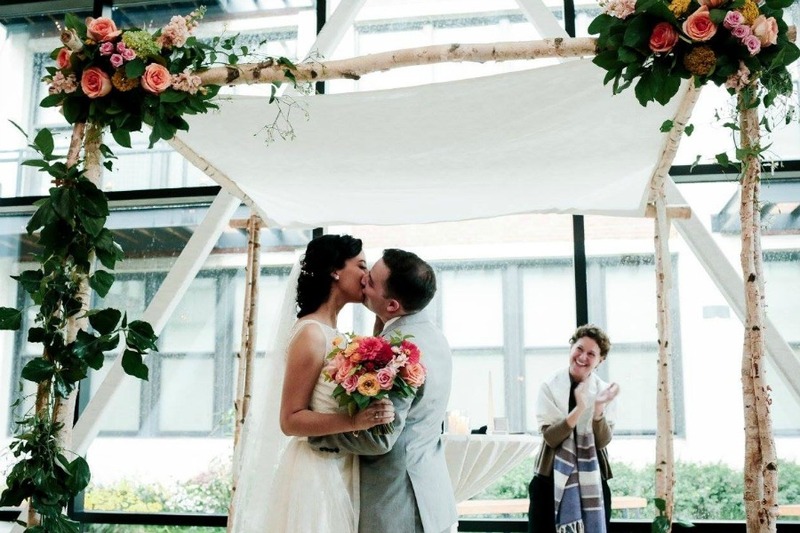 Sample rituals for an interfaith Jewish wedding. Different options for ending an interfaith/Jewish wedding ceremony. Explanation of the ring ceremony at traditional Jewish and modern interfaith weddings. Explanation of the Seven Blessings, a traditional feature of Jewish weddings. 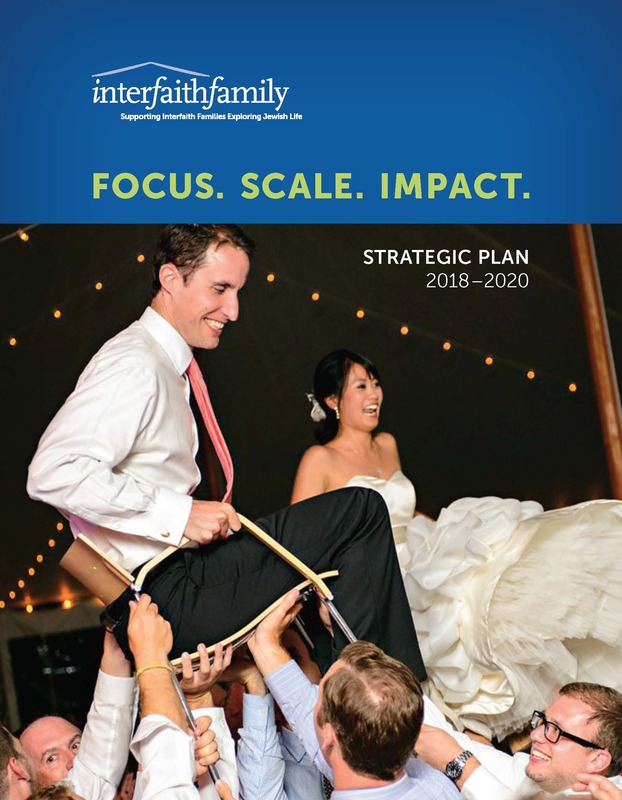 Tips for parents of children who are intermarrying, compiled from InterfaithFamily contributors. Kiddush, the Hebrew blessing over the wine, and Hamotzi, the Hebrew blessing over bread. How can you keep your bewildered non-Jewish guests in the loop at the bar mitzvah? 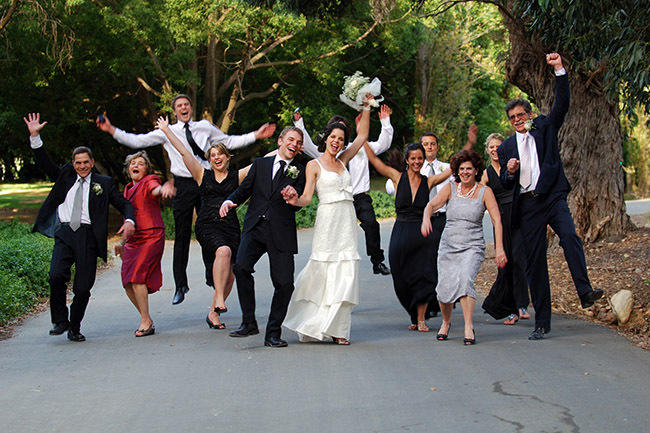 A guide with explanations and sample rituals for all aspects of a Jewish interfaith wedding. Books on bar mitzvah and bat mitzvah recommended for interfaith families. A brief summary of the debate over Jewish ritual circumcision. 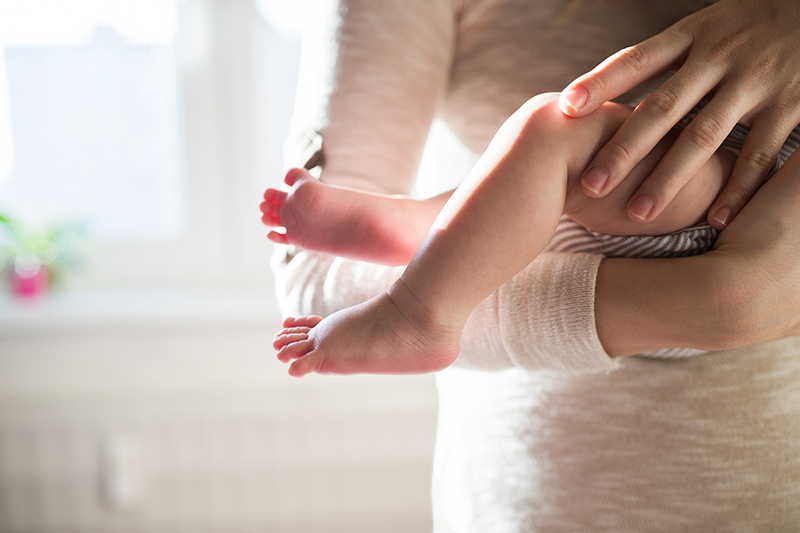 There are special issues to consider when planning a birth ceremony for your child if he only has one Jewish parent. What Makes a Wedding Jewish? 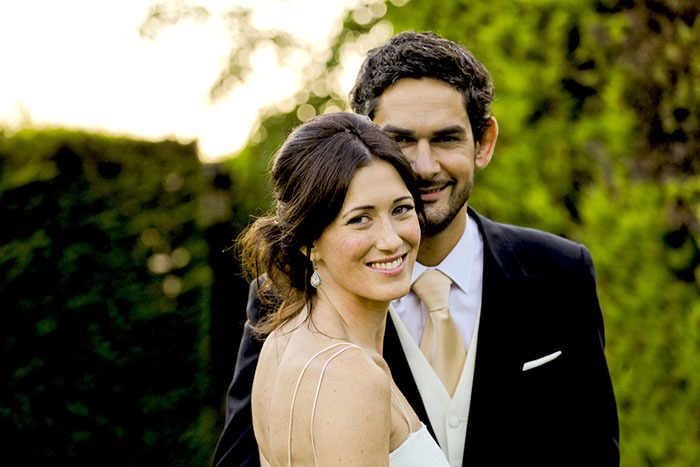 What are the key characteristics of a Jewish wedding? 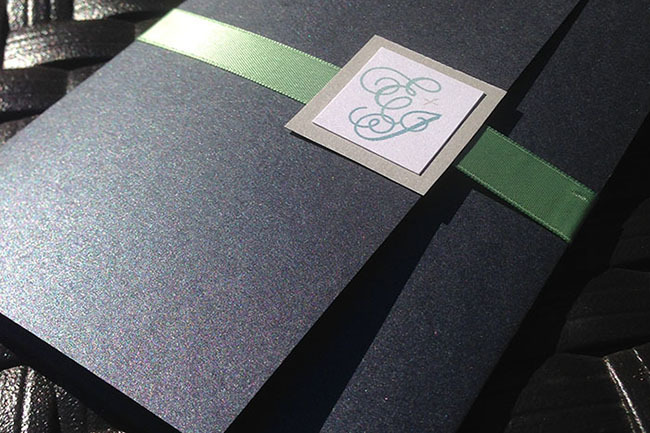 Tips on invitations, programs and food for your interfaith wedding. 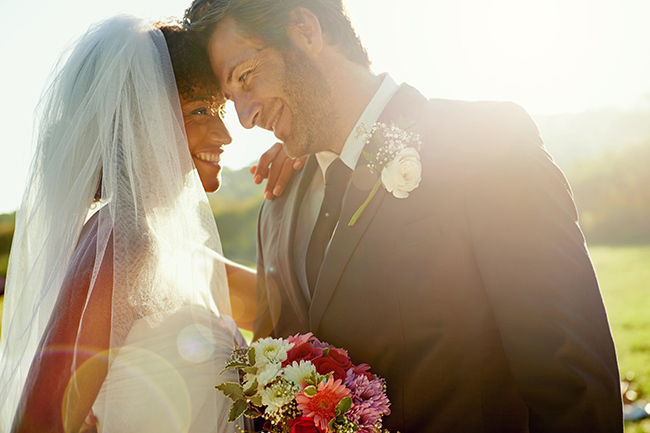 Some Common Elements of Christian Weddings that are Different than Jewish Weddings. 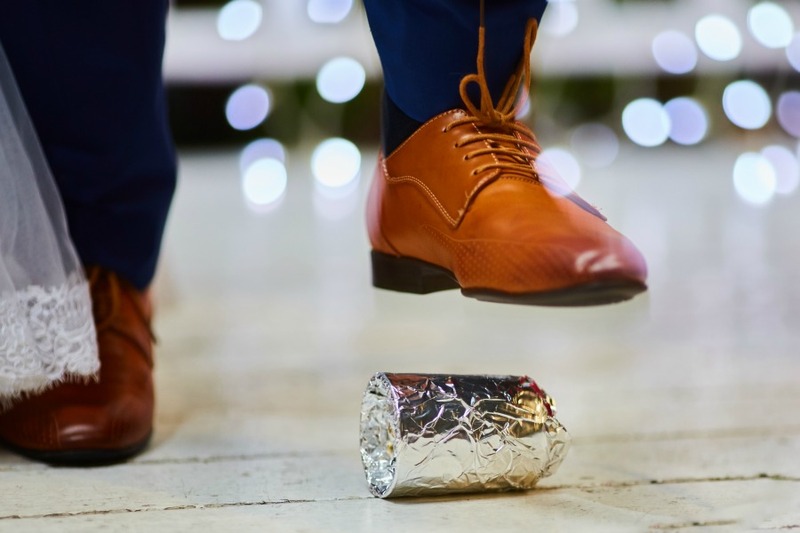 Here are a few resources for some of the more frequently occurring interfaith weddings other than Jewish-Christian weddings. 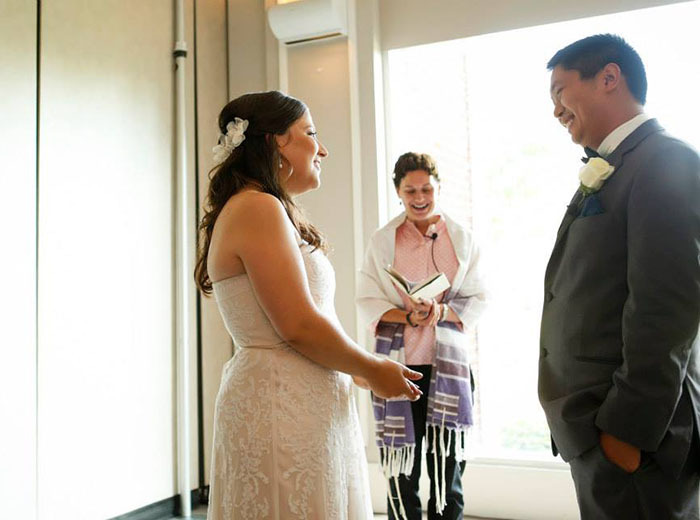 Explanation of how the exchange of vows works at Jewish interfaith weddings. Different ideas for the order of rituals for an interfaith birth ceremony. There is no commandment in the Hebrew Bible to welcome Jewish girls in a particular ceremony, so over the centuries a wide variety of ceremonies have been developed. The story behind Jewish ritual circumcision, otherwise known as bris or brit milah. An explanation of the ritual of breaking the glass at a Jewish or interfaith wedding. The Jewish blessing over the wine, plus additional liturgy and sample program definitions for an interfaith wedding. Additional program definitions for an interfaith Jewish wedding. There are no rules in the Jewish tradition for how to name a child. Jews from different parts of the world follow different, sometimes contrary practices. The traditional birth ceremony blessings–for bris, brit, simchat bat–for Jewish children from interfaith families. 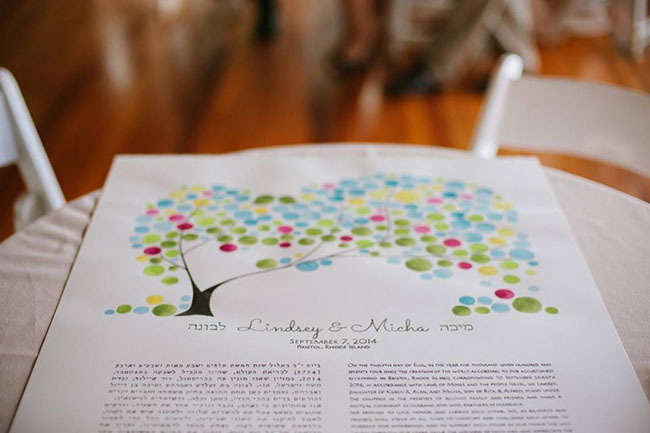 Additional ideas for an interfaith, Jewish baby naming ceremony. Recommended books on Jewish birth ceremonies. Ideas for sample readings for a bris or circumcision or other Jewish birth or baby-naming ceremony. Information on restrictions on the timing and location of a Jewish wedding. 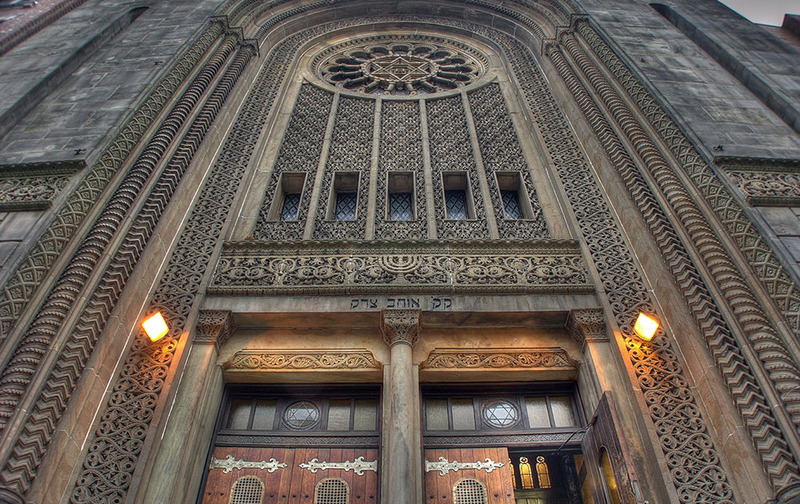 Yom Kippur is an entire day of prayer in the synagogue with lots of services. 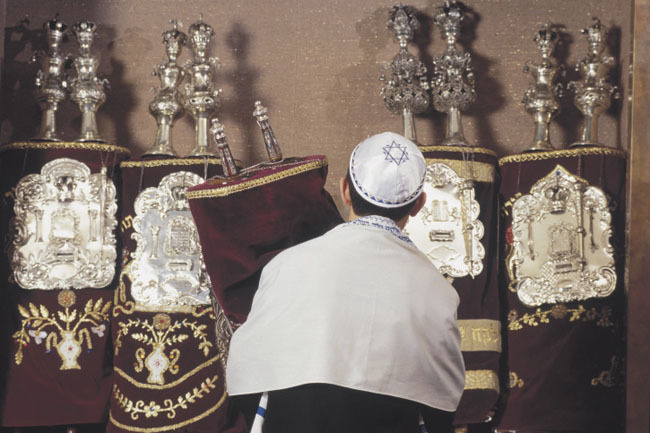 A brief intro to the history and definition of the ritual of bar mitzvah and bat mitzvah. Explanation of the various ways a bar mitzvah or bat mitzvah may participate in the ceremony. 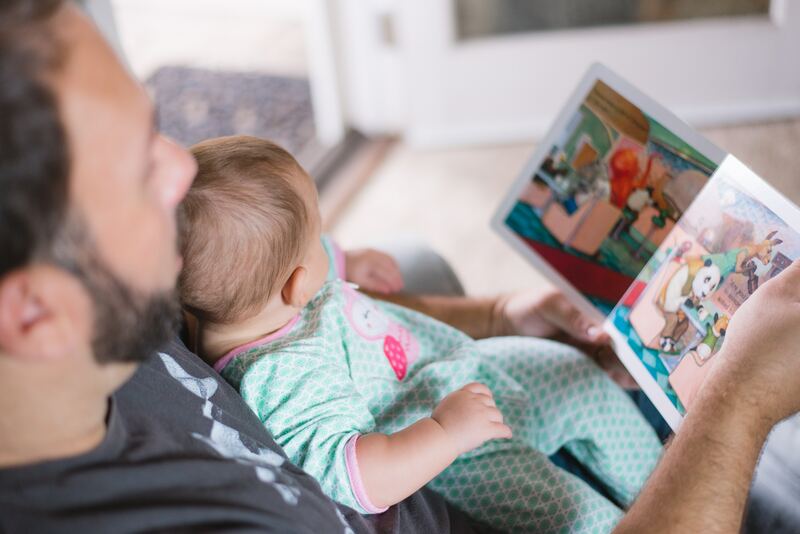 Professional view and general information tips on how to celebrate your Judaism with your grandchildren who are not Jewish without dictating their family’s religious choices, compiled by InterfaithFamily. 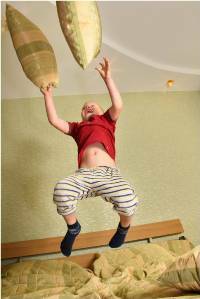 Yom Kippur is hard on parents, but may be interesting and rewarding for children. Going to synagogue to pray all day when you don’t usually go ever is like climbing a mountain after walking around the block once or twice. What are the High Holidays? This resource guide gives an overview. How to find a synagogue or temple where you can pray on the High Holidays. Part of Guide to the High Holidays for Interfaith Families. 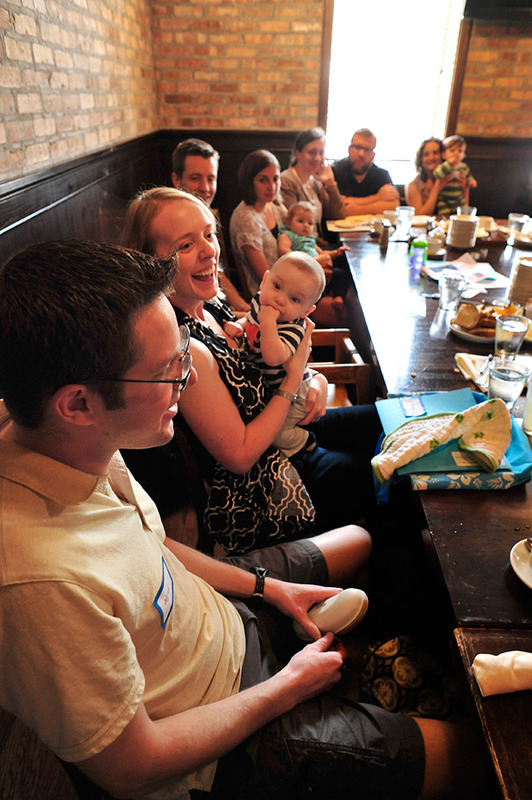 Ideas for introducing an interfaith Jewish birth ceremony. 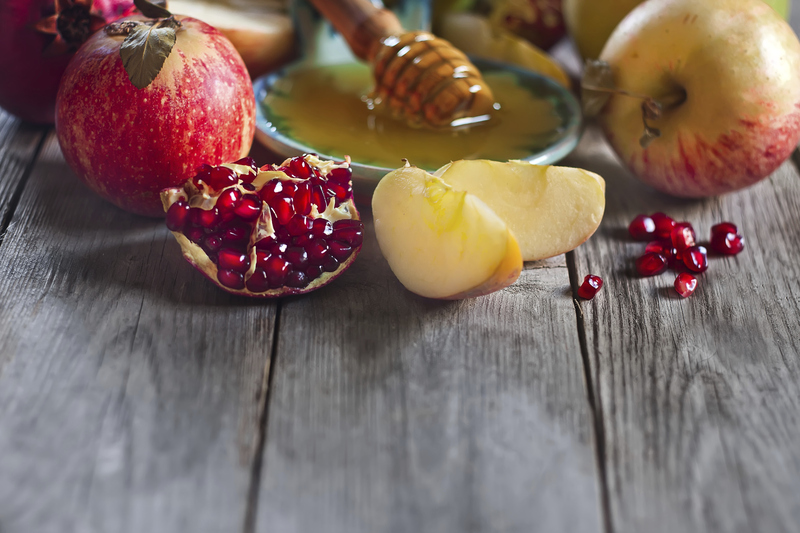 What is Rosh Hashanah? Why is there a Jewish New Year? 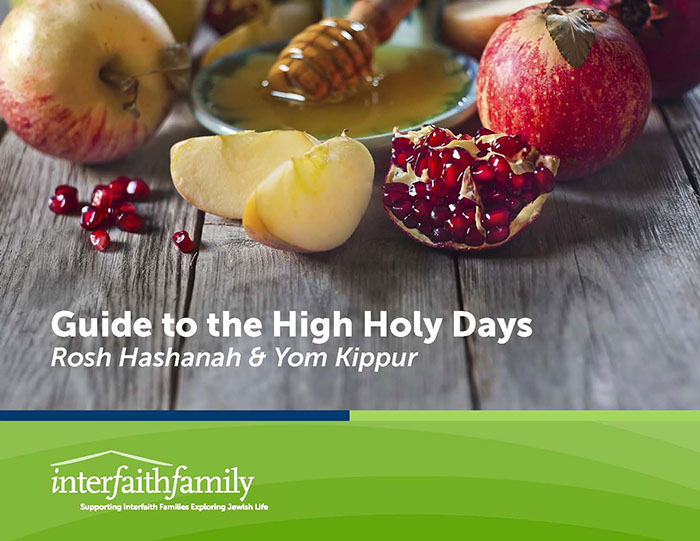 Professional advice tips for making your High Holidays (Rosh Hashanah and Yom Kippur) celebrations more inclusive for your interfaith family, compiled from contributions to InterfaithFamily.com. What happens during the days in between Rosh Hashanah and Yom Kippur? Ways your child can integrate his interfaith background into his community service project for his bar mitzvah. Readings for discussing the covenant between the baby and the Jewish people. Explanation of the origins of Jewish burial practices. Ideas for interfaith study projects for a bar mitzvah or bat mitzvah. 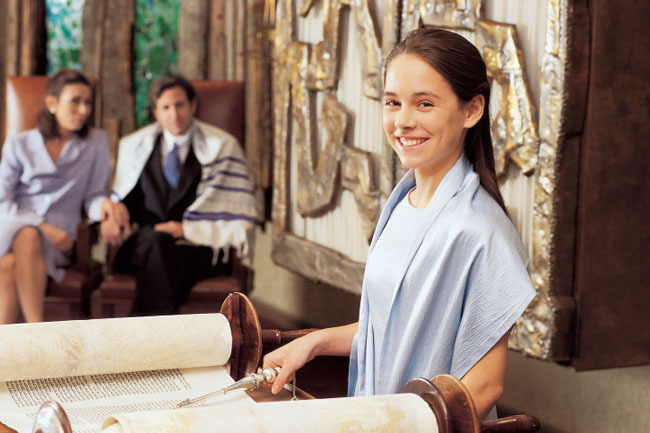 How your family, Jewish or not, can be involved in the bar mitzvah or bat mitzvah ceremony. Ways to make the bar mitzvah or bat mitzvah celebration involve members of your entire interfaith family. What to expect if you want your child to have a bar mitzvah or bat mitzvah. 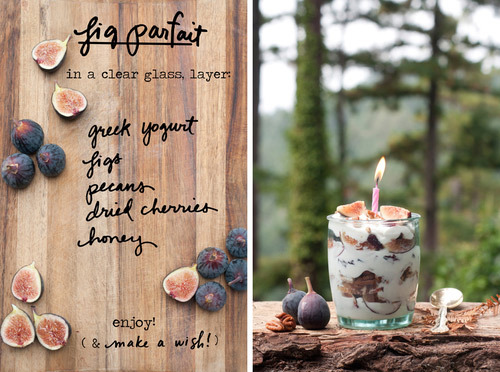 The mitzvah project that two teenage girls chose in honor of their bat mitzvahs. Explanation of the Jewish prohibitions against embalming and cremation, and discussion of modern approaches to cremation. Information about death and mourning for interfaith families and non-Jews looking for information on Jewish funerals. An explanation of who the official mourners are in the Jewish tradition. 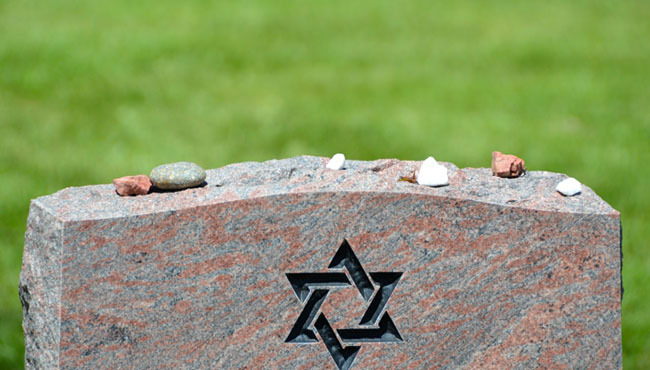 A brief overview of how Jewish mourning changes one week, one month and one year after a loved one’s death. 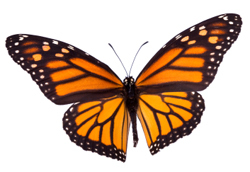 Tips on planning a funeral for a member of an interfaith family. Explanation of the preparation of a dead body for burial in the Jewish tradition. Recommended websites and books on Jewish death and mourning. 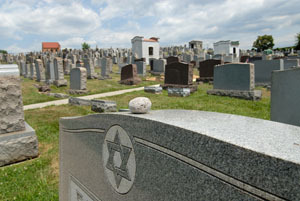 The (brief) story behind Jewish cemeteries. Readings for naming ceremonies for Jewish or interfaith babies. Versions of the Five Senses Ceremony, a Jewish birth ceremony. Do Jews light candles to commemorate the dead? How to talk to children in an interfaith family about death. Explanation of Jewish approach to coffins and open casket funerals. An explanation of the Jewish ritual of Mourner’s Kaddish. Explanation of why Judaism is so respectful of the dead body. What to expect when paying a shiva call. Explanation of the first month of mourning in the Jewish tradition. Some of InterfaithFamily.com’s supporters and contributors pick their favorite articles from the website. 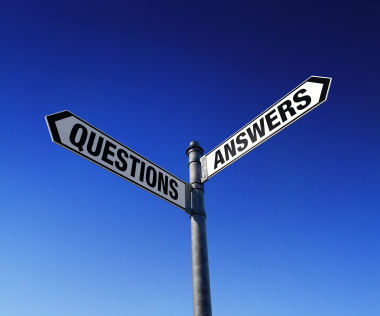 Frequently asked questions by Jewish partners in interfaith couples. Frequently asked questions by non-Jewish partners in interfaith couples. Judaism has multiple movements and independent groups, and there are recognition issues between and among them. Judaism also has more than one path to becoming a rabbi.